When I say fake tan hands you immediately know what I'm talking about. Better yet, for some of you it's a reason to skip fake tan. That's not necessary anymore, because I got some easy tips for you! 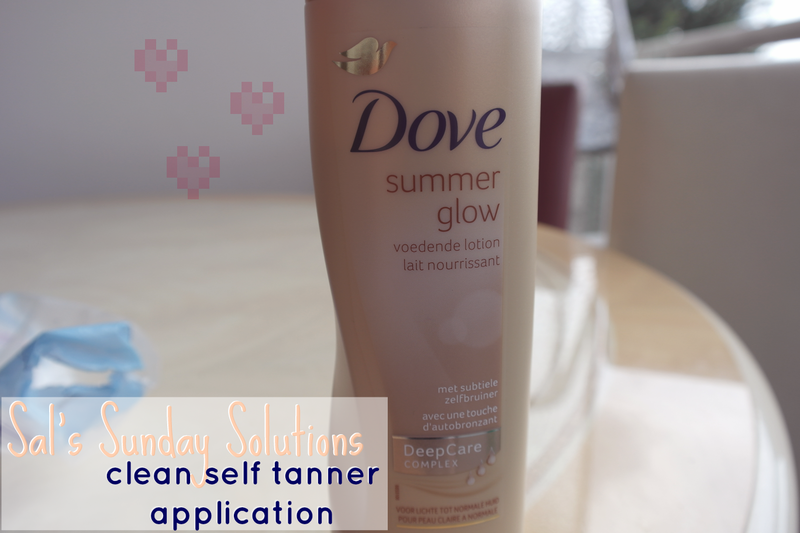 The perfect fake tan application isn't as hard as it sounds, you know! As usual I explained it step by step with clear pictures and I have some extra tips for you at the end. Have a look! Self tanner is perfect for who wants to enjoy a beautiful tan, but doesn't want to go in the hot sun or doesn't tan at all. Completely understandable. But fake tan sounds a little scary and to be honest: it is scary when not done right! In this post I'll explain how you can apply self tanner without the scary fake tan hands (and feet). You know, when your hands go all orange and streaky. I'm sure this is the hardest thing of applying self tanner flawlessly. And you can't just leave the hands and feet without the tan, right? It took me a while but now I know how to apply it perfectly without getting the self tanner hands! It's best to keep this part for last. So first do your body and then your hands and feet. Once you're done with tanning your body, wash your hands really well and don't forget to wash between the fingers and around the nails. Done? Then we can start! Apply some of the fake tan on a cotton pad. I use a body lotion with self tanner. 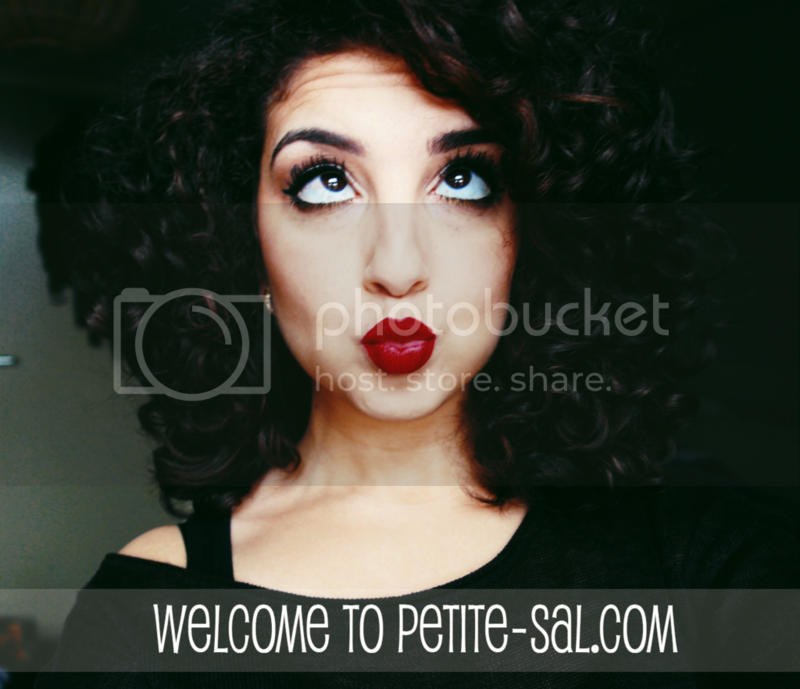 It's streak proof-er and the application is buildable on a natural way. But you can use whatever you like! Make sure the cotton pad you use is firm. We don't want it to fall apart during the application! Apply the fake tan over your hand. Just carefully rub the fake tan over your hand and make sure you apply it evenly. Go over your wrist with what's left on the cotton pad. 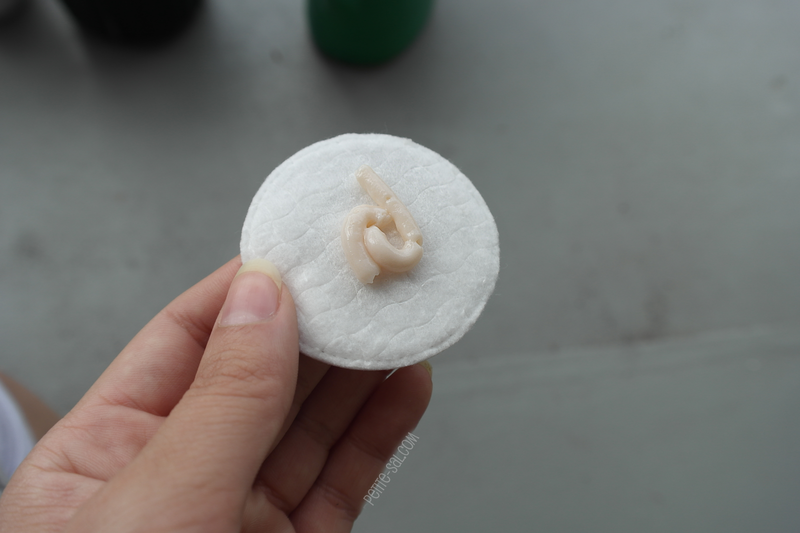 You can add a little more, if your cotton pad is entirely dry. But not too much. We want the fake tan to fade here and that's why we add just a little! Also go between your fingers with what's left on the cotton pad. 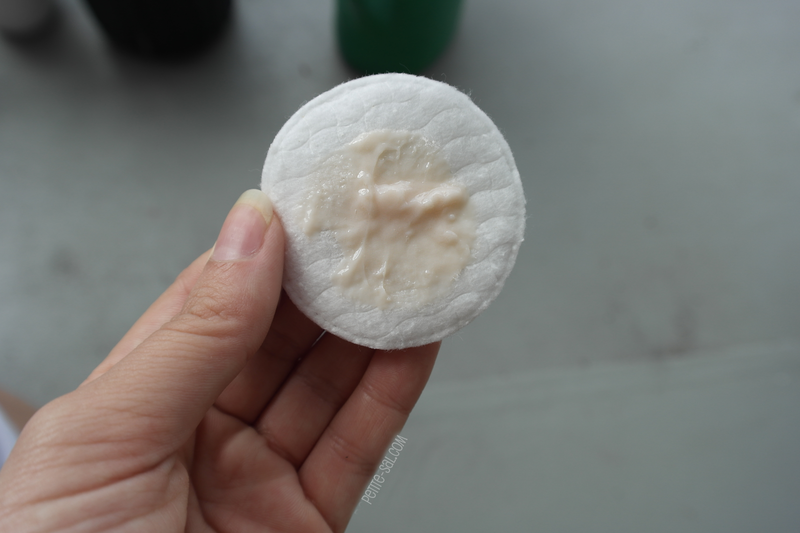 Again: if your cotton pad it dry, add just a little! Enough for the cotton pad to be moist. Get a clean cotton pad and go between the fingers again and also along the sides of your hand. By doing this you're blending in the fake tan, without having those harsh lines! And for your feet goes the same! Just repeat step 1-7! While the self tanner is doing its work, make sure to bend your fingers (and toes) a little while it's drying, like you did in step 4. It'll prevent the fake tan from creasing in your finger wrinkles (I always know how to make things sound good, don't I?). And that's it! Let the tan dry well, before you wash your hands again. - Don't apply fake tan right after you shaved your legs! 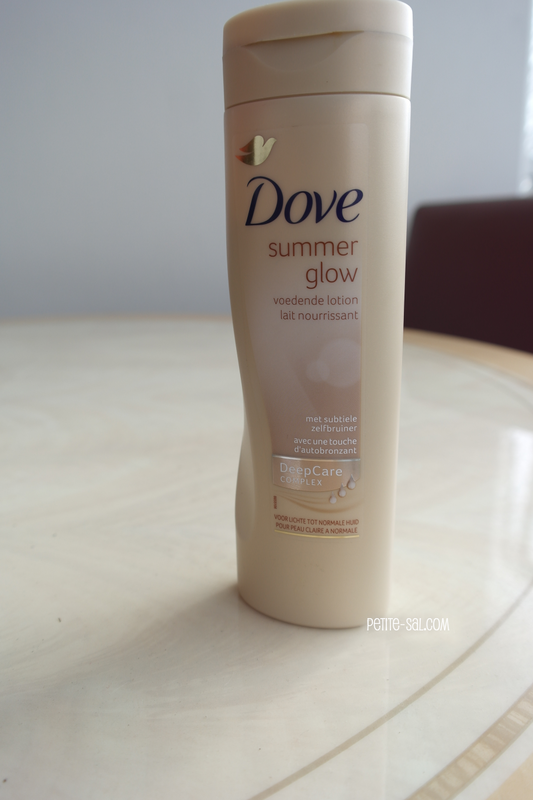 At the moment I don't use any fake tan, but in the winter I like to use this one! It's a body lotion with self tanner. 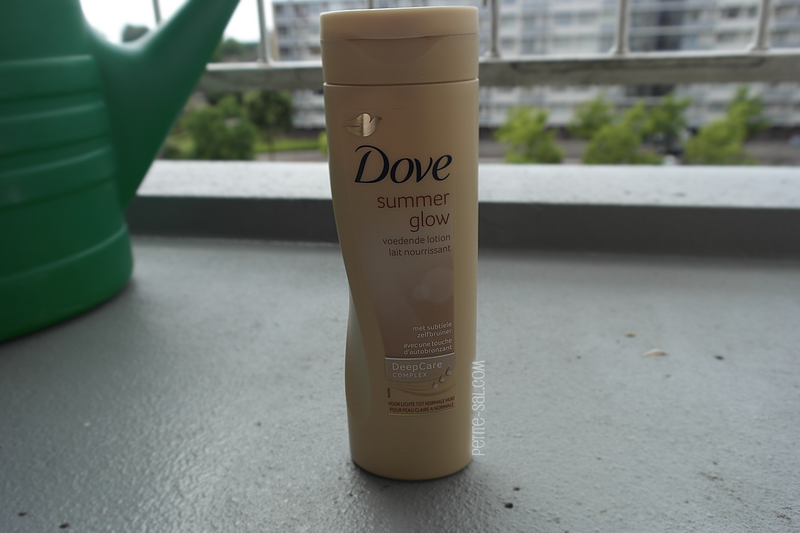 Gives a very natural finish and it doesn't smell as bad as most self tanners do. Hope my tips will be useful for when you decide to tan up the pale situation with a little fake tan! Don't get me wrong though: there's nothing wrong with being pale. Better yet, it looks beautiful and very doll-like. But if you're like me and you like to tan things up a little, I'd rather have you do it the right way, hence the tips! Which fake tan do you use? And pictures look so clean and they are also very helpful! You're welcome :) Even though it wasn't a review..
Dit is echt een handige tip! Thanks hihi.